N°PE510: FDC travelled on board of the special flight Austrian Airlines 'Flug für den Frieden' (Flight fo peace) WIEN (Autria) - SARAJEVO AUCON EUFOR (Austrian battalion of the Peace forces of the European Union in Bosnia Herzegovine). 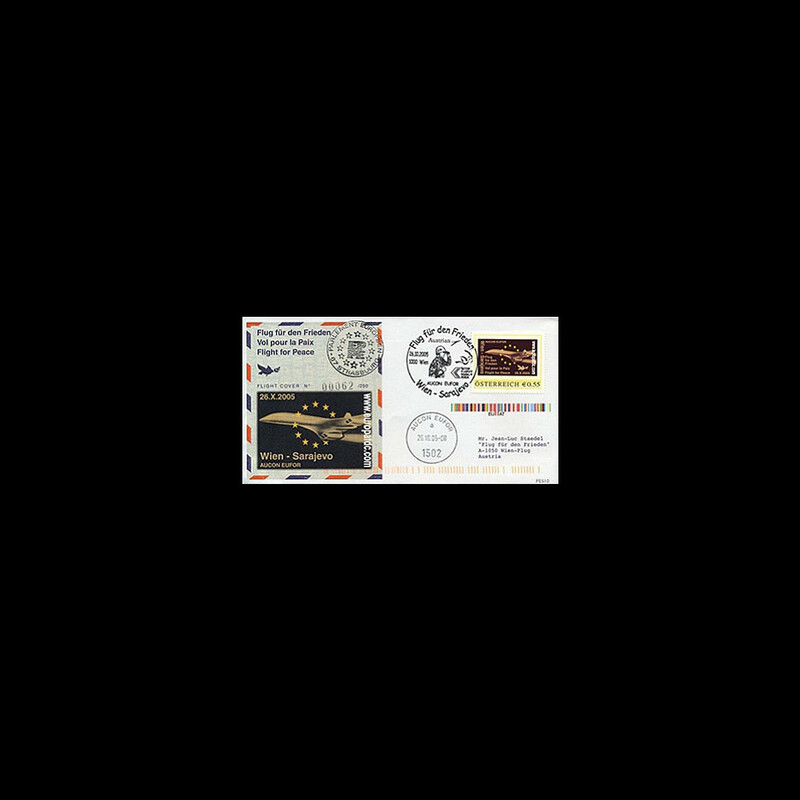 + arrival postmark «AUCON EUFOR 1502» (Sarajevo) 26.10.05. FDC issued on the occasion of the Austrian presidency of the European Council (1st semester 2006).